Everybody needs a hobby. One of mine is this blog, for which I’ve tried to post every day for more than five years now. That’s pretty impressive. But I think I’m going to peak this year, because this is the year that I summon Blog Captain Planet. It starts with a list on the coolest superheroes with the power to control the ground beneath our feet. Coming up with ideas for these Lists of Six every week can be kind of tough. And sometimes I’ll fall back on an easy choice, like a list of superheroes with similar powers. I once did fire, then water and wind…which leaves Earth and heart! Then I will summon Blog Captain Planet! Join me after the jump for the top six comic book characters who control the dirt! This is a list about comic book characters who can control the ground and Earth. 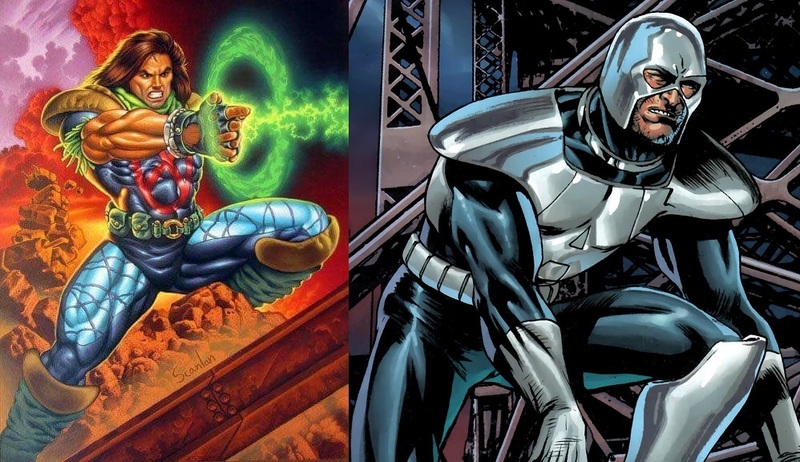 And even though both Avalanche and Rictor are known to do just that, their mutant powers actually involve shooting seismic waves from their hands or bodies. They use these seismic waves to cause earthquakes (and avalanches, I guess), but these two mutants don’t actually control the dirt or Earth like everybody else on this list. That’s an important distinction that I wanted to explain before we get property started. I’m feeling pedantic like that. Red Volcano is kind of a cheat, but I’m using him, so there. Red Tornado is a wind-based robot hero and a member of the Justice League. He’s been around forever. Then in about 2009 or so, some modern writers decided to give Tornado some similar robot adversaries, so they created Red Volcano for earth, Red Inferno for fire and Red Torpedo for water. Makes sense. Red Volcano was the most evil of the lot, controlling lava and magma. He even had a cape made out of lava! How crazy is that? Red Volcano was the one robot without a conscience, so he was just bad news all around. Sure, a green costume, why not? I still think Petra is a bit of a silly character. But she’s canon, so she’s in! We all know the story of how the original X-Men were captured by the sentient island Krakoa, so Professor X recruited Wolverine, Storm, Colossus, Nightcrawler and more to be the all-new X-Men to mount a rescue. The rest is comic book history! Well a couple years ago, Marvel did one of those silly retcon stories where they said Professor X actually tried a different team first, gathering together four neophyte mutants to mount an earlier rescue attempt. All four were killed immediately, including poor Petra, who had the power to control the Earth. Two of the four have since returned to life to appear in more comics, but Petra was just a throwaway character, apparently. Did you know that the Hulk had a kid? He’s got several, I think, but we’ve only interested in Skaar. He’s the son of the Hulk and Caiera the Oldstrong, Hulk’s lover from his Planet Hulk adventure. We all thought both she and her home planet were destroyed, but Marvel decided that she had a kid that survived the destruction in a cocoon. Then they decided that the cocoon aged him into a teenager within a single year, because who wants tow air for a kid like that to age naturally in the world of comics? He needs to get to smashing right away! 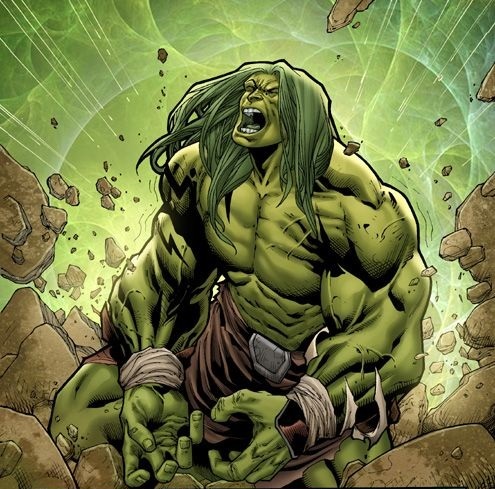 Skaar is this tough-as-nails crazy warrior guy who comes to Earth and causes all sorts of trouble for the Hulk. 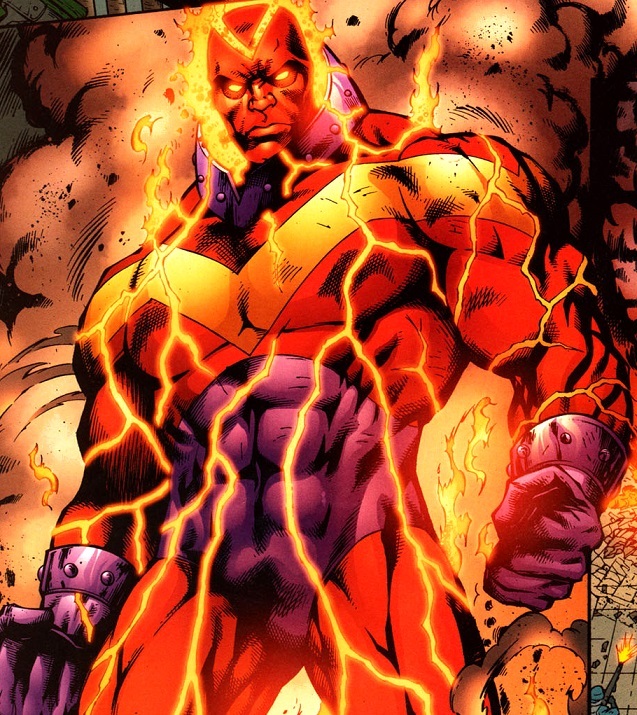 And since he’s powered by the Oldstrong lineage, he’s got the Old Power, which gives him control of the Earth and lava and I think tectonic plates. Just to make him a bigger deal. Magma is one of the New Mutants and one of the X-Men, a mutant with the power to control tectonic plates and, especially, magma. Hence the name. Amara usually transforms into a badass-looking lava person to control her powers, so she’s got a cool look. Otherwise, she’s one of those mutants that has never really made it to the front lines of the X-Men, so she usually gets dragged up, down, back and forth through the mud for whatever crazy storyline some writer is working on next. I’m pretty sure she’s gone crazy and/or been evil several different times, always recovering and being put back into the background scenes. Geo-Force’s main powers are gravitational control, but he’s also got the ability to warp and move the Earth. He’s also been known to turn people into stone! Geo-Force was given these powers as a prince of the fictional country of Markovia, where he used them to repel an invasion attempt. This brought him to the attention of Batman and Geo-Force was brought into the Outsiders, Batman’s secret non-Justice League team. Geo-Force would eventually be deemed cool enough to join the actual Justice League, at least for a little while. 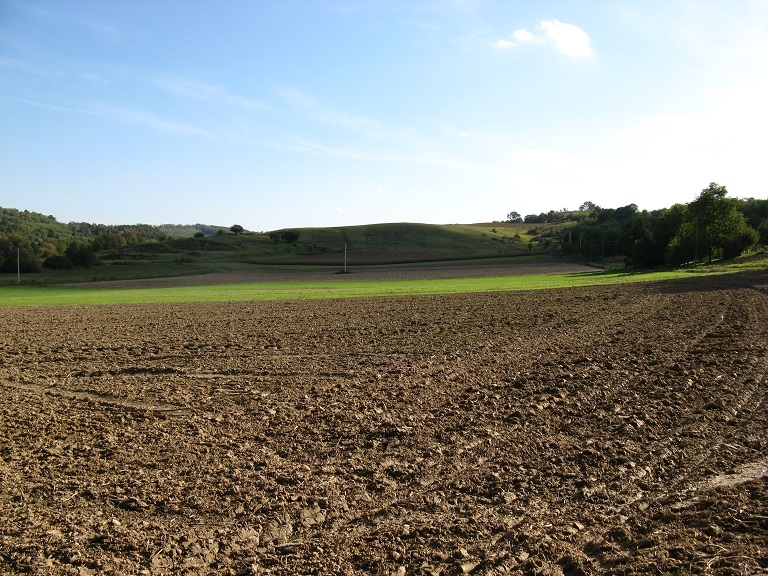 Geo-Force is so in tune with the Earth that not only is he made stronger when in contact with the soil, but he’ll grow weaker and possibly die if he’s away from the Earth for long periods of time. Earth-powers are also known to run in Geo-Force’s family. 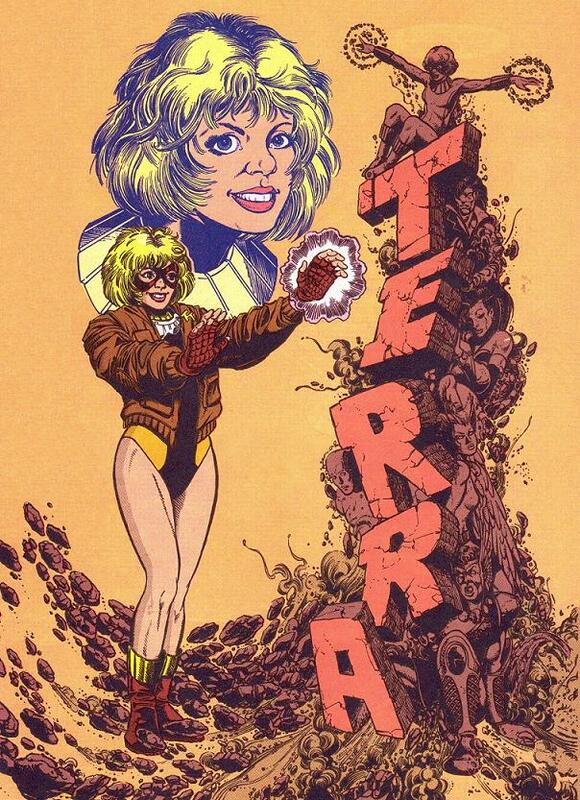 Terra is infamous as the traitor to the Teen Titans, one of the most famous comic book storylines of all time. She secretly worked for Deathstroke the Terminator. He manipulated the young girl and turned her into a spy against the Titans. 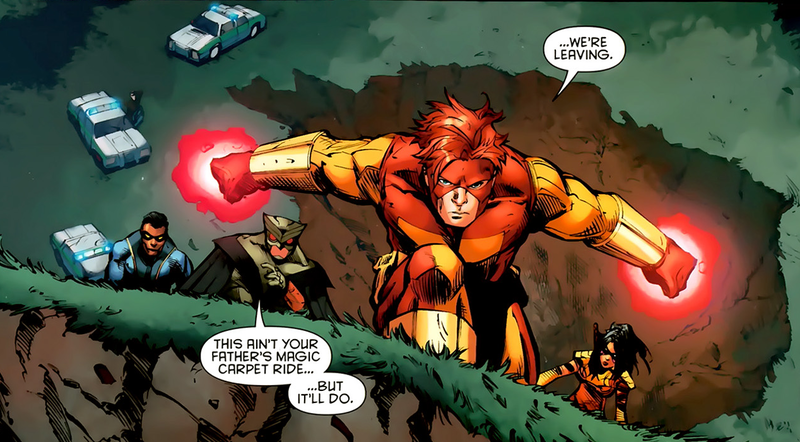 The deception cut everybody to the core when Deathstroke kidnapped the Titans. Terra killed herself shortly thereafter when she mistakenly thought her beloved Deathstroke had turned against her. She still pops up in all the Titans cartoons, either as a good girl turned bad or just a bad girl in general. Also, her real name is Tara, so make of that what you will. Atlee, meanwhile, is a completely different character with Earth-powers who took on the name ‘Terra’ long after the original was gone. Atlee is a member of a subterranean race from the world of Strata, given Earth-bending powers to help protect her world. 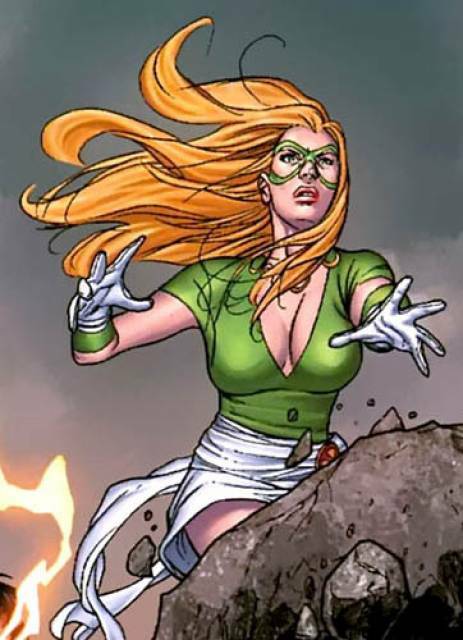 Her powers were based on a genetic template of the original Terra, so there is some connection. Atlee eventually went to the surface and became a superhero and best pals with Power Girl. 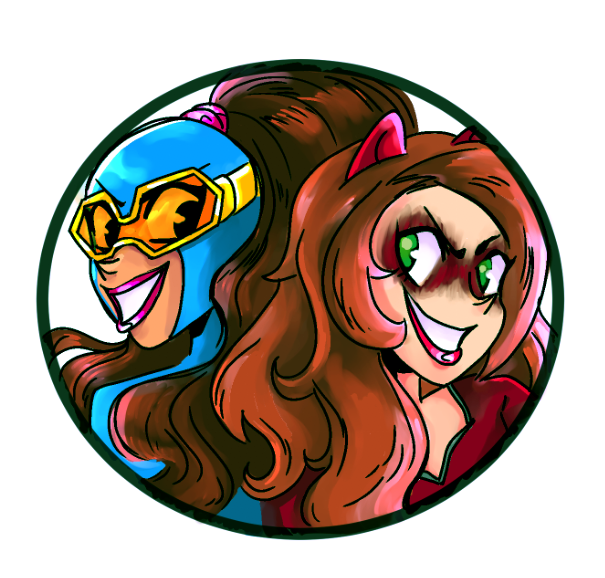 She’s a pretty cool hero, but only really shows up in books written by her creators. Nothing wrong with that, I suppose. Posted on January 17, 2018, in Comics, Lists of Six!. Bookmark the permalink. Leave a comment.